Psoriasis Awareness Week runs annually and aims to raise awareness of psoriasis and psoriatic arthritis. 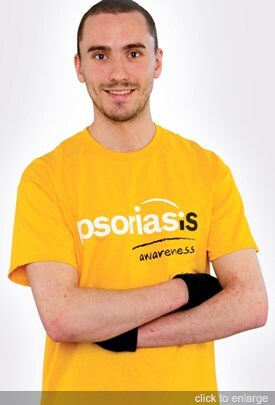 This year, we're putting the spotlight on young people who are living with psoriasis and sharing some of the information and support resources we have to offer, including our new WhatsApp helpline service, and our PsoTeen website. We've also got a new, short video, 'The Itch Challenge', launching during Psoriasis Awareness Week. This will be brought to you by the Life's an Itch campaign. Can you sit through the whole video without having to scratch? Finally, towards the end of Awareness Week, we'll be revealing the 'Psoriasis Top 10' research priorities - the culmination of the psoriasis Priority Setting Partnership (PSP) project, which many of you will have taken part in over the last two years. We recently conducted a survey of 250 young people with psoriasis which highlighted the impact the condition can have on many aspects of young people's lives. The survey revealed that 94% are affected by anxiety and depression, with 77% claiming that psoriasis has had a negative effect on their social life. Indeed, social isolation is clearly an issue in young people with psoriasis, as 67% claimed to feel isolated by their condition. Linked to this, 70% feel that their healthcare professionals don’t understand what it’s like to live with psoriasis, and 60% feel that family and friends don’t understand how their psoriasis makes them feel. Additionally, 47% are worried for their future, believing that psoriasis has or will have a negative effect on their studies or career. As a result of what we found, we launched a brand new WhatsApp helpline service earlier this year in order to make it easier to contact us and find information and support. You can access our WhatsApp service by messaging us on the app at 07387716439. Did you know that we also have a separate website specifically for teenagers and young adults? 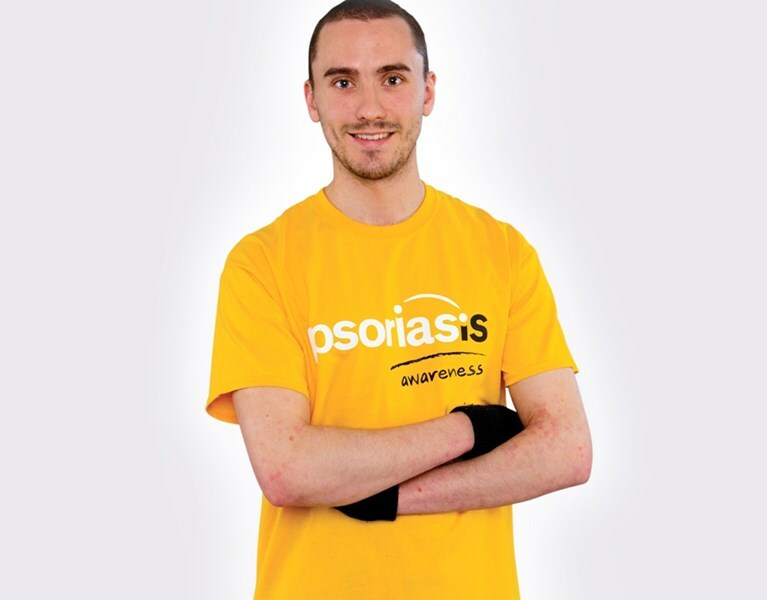 The site (www.psoteen.org.uk) contains plenty of handy information about psoriasis and treatments, as well as practical tips for dealing with psoriasis from day to day, and forums where you can chat to other young people too. For Psoriasis Awareness Week we'll be adding fresh content to PsoTeen, including some real-life stories, so make sure you check it out from World Psoriasis Day (29th October) onwards. Itch is still an under-recognised symptom of psoriasis, yet it can have a significant impact on quality of life! To highlight this, we launched the Life's an Itch campaign back in 2016, and the 'Itch Challenge' marks the start of phase two of this campaign. Have a watch of the video below and see whether you can make it through without needing to scratch! Following two years of consultation, the 'Psoriasis Top 10' research priorities have now been announced. This marks the culmination of the psoriasis Priority Setting Partnership (PSP) which was set up with the aim of bringing together people with psoriasis, their families and friends, and healthcare professionals in order to identify the areas which future psoriasis research should focus on. Many of you will have taken part in the project yourselves, so we hope you're as excited as we are to find out what the 'Top Ten' priorities are. Publishing these priorities should help ensure that future psoriasis research focuses on answering the questions that are most important to people who are affected by psoriasis. 1. Do lifestyle factors such as diet, dietary supplements, alcohol, smoking, weight loss and exercise play a part in treating psoriasis? 2. Does treating psoriasis early (or proactively) reduce the severity of the disease, make it more likely to go into remission, or stop other health conditions developing? 3. What factors predict how well psoriasis will respond to a treatment? 4. What is the best way to treat the symptoms of psoriasis: itching, burning, redness, scaling and flaking? 5. How well do psychological and educational interventions work for adults and children with psoriasis? 6. Does treating psoriasis help improve other health conditions, such as psoriatic arthritis, cardiovascular disease, metabolic syndrome and stress? 7. Why do psoriasis treatments stop working well against psoriasis and when they stop working well, what’s the best way to regain control of the disease? 8. To what extent is psoriasis caused by a person’s genes or other factors, such as stress, gut health, water quality, or change in the weather / temperature? 9. Is a person with psoriasis more likely to develop other health conditions (either as a consequence of psoriasis or due to the effect of treatments for psoriasis)? If so, which ones? 10. What’s the best way to treat sudden flare ups of psoriasis?